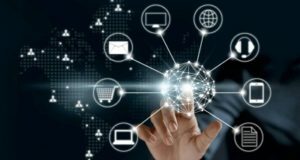 A custom at the outset of my articles is to explain its evolution. Sometimes a story itself. Cut to several weeks ago, my wife, a former elementary school teacher (retired now) met former fourth grade student, David, now all grown-up, waiting to hear from college admissions. Conversation drifted to me, my involvement with Rutgers on many levels, and David’s role as a high school senior doing meaningful volunteer work at Casa Freehold. Can I help enlisting Rutgers students? It’s late in the year, finals on the horizon. But I wanted to learn more and expand horizons. 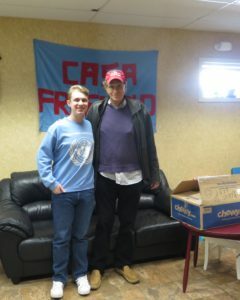 David Buneta volunteers at Casa Freehold. I met him there today. A few days ago, Facebook friends. Love social media (even for an older guy). A cold, windy morning. Downtown Freehold, New Jersey. The same town as the famous E-Street Band leader, and Casa Freehold, set just behind his childhood church, St. Rose of Lima. David met me at the rear door, introduced me to executive director, Rita Dentino. My first comment was that I checked their Facebook page, https://www.facebook.com/groups/CasaFreehold/ and absorbed what they do for the immigrant population. Coincidentally, a few days ago, my wife insisted I watch ‘We the People’ TV Show; the episode about an immigrant father and son- separated; emotionally riveting. I’m completely apolitical and always focus on people. My approach to modern living. 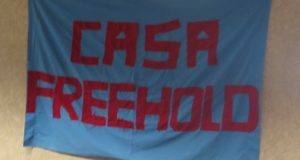 Casa Freehold was founded in 2004 in response to a growing immigrant population. They help people learn about resources with immigration, housing, health, income tax services, employment and job safety. 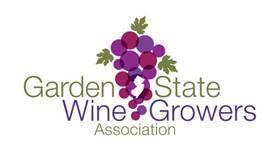 One of their affiliations is with the Latino Coalition of New Jersey. I was quick to point out that NJ Discover TV had one of its most successful shows, “Neo-Latino Artists Come to NJ Discover TV.” Small world. I asked Rita about other cities that support efforts like Casa Freehold. “Los Angeles and New York City also support organizations like us.” They now have a food pantry. I remembered writing about food pantries in America for NJ Discover a few years ago. In 1980, there were 45 food pantries in America. Today there are about 45,000. 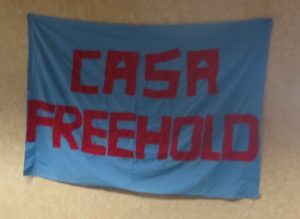 What impressed is that Casa Freehold is part of a health consortium with Rutgers Robert Wood Johnson Medical School, CentraState Health System and Freehold Family Health Center to provide health, mental health, cancer screenings. 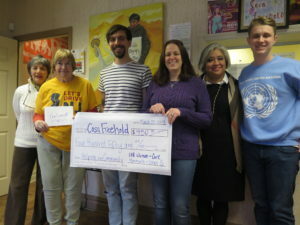 Additionally, former Rutgers Anthropology Professor (now retired) Daniel Goldstein had a community participation partnership with Casa Freehold working with Spanish speaking people to gather information. Synchronicity, a favorite pastime for me. 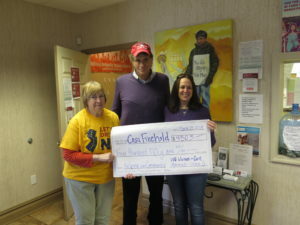 In the middle of my interview with Rita, Christine Locklear from ‘100 + Women Who Care’ arrived with a donation presentation check for $450 for Casa Freehold. The issues of immigration well beyond the reach and scope of NJ Discover. My mission, as I enter an old-fashioned telephone booth, closing the doors behind me, picking up the receiver, holding it to my ear, is to always focus on the positivity of people here in New Jersey helping people. The energy of Casa Freehold still makes me feel inspired, even 44.4 hours after I took a few pictures and said goodbye.